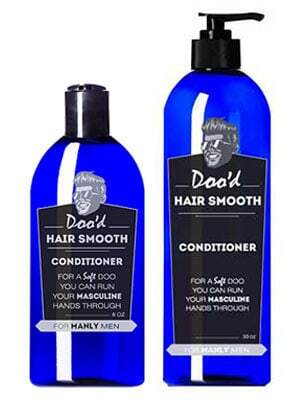 Our Hair Smooth conditioner sets a new bar on a great smelling soft doo. 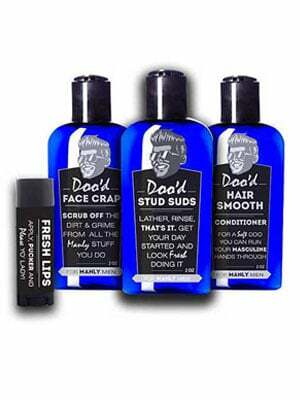 Through the use of natural products like shea butter, olive oil, sunflower seed oil, coconut oil, jojoba oil, and menthol your manly doo will be ready to reach all new levels of swag as you kick the limp, flaky, thinning hair to the curb. 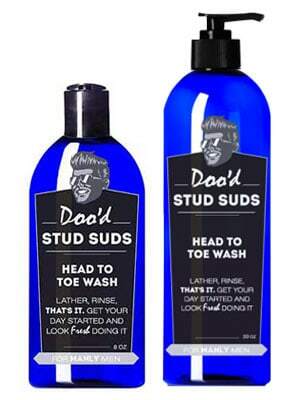 This unique all over wash was created to solve many problems manly men face. Through the use of some of the most basic natural ingredients like aloe vera gel, coconut shell charcoal, and menthol allowing for a unique experience. Some say they will try anything once...will you? 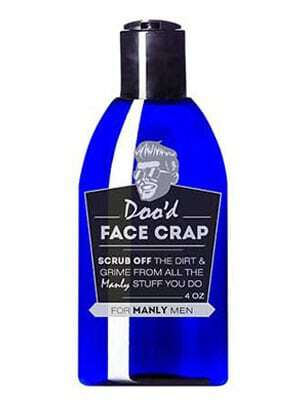 Face Crap is a whole new experience on your manly face. PharmD. DJ Lees has out done himself, mixing up coconut shell charcoal, sweet almond oil, witch hazel, aloe vera gel, bentonite clay, turmeric, with a splash of pumice allowing all manly men to feel revived. 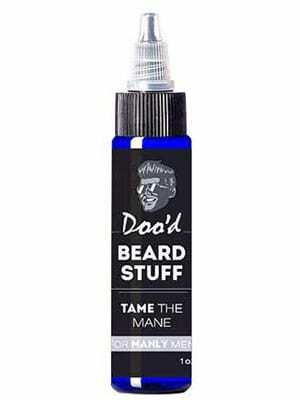 As you grow out your lush beard you may want to add a few drops of beard stuff to soften your mane. Our special concoction of oils nourishes dry skin while adding a subtle manly smell to your everyday routine. Always on the go? Using plastic bags for your toiletries? Switch it up with our customized travel kit that comes with 3 TSA approved sized 2 ounce bottles of Stud Suds, Hairsmooth, Facecrap, and Fresh lips. 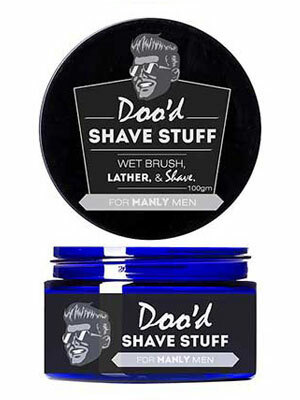 Shave stuff allows for the closest shave you will ever experience. The all natural oils coupled with a concoction of a special blend of ingredients that sets a new mark for what a shave should be. You asked...we answered! 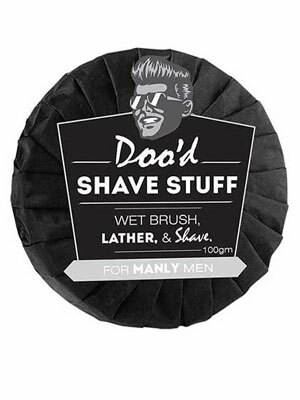 Our shave stuff puck has the same natural formulations and scent as our shave stuff jar. 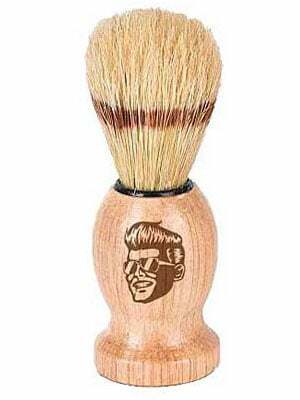 Our custom boar hair brush works wonders with our shave stuff. Creating a thick lather and raising the hair follicle while applying provides you with a razor burn free shave. Nobody wants to kiss dry lips! Fresh lips has high quality natural ingredients that keeps your lips feeling amazing all day long. 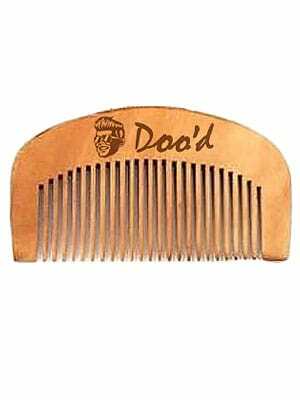 Tame your manly mane with our ultra sleek custom wooden beard comb. $50.00 (60 Servings) • Bulk Discounts Available! 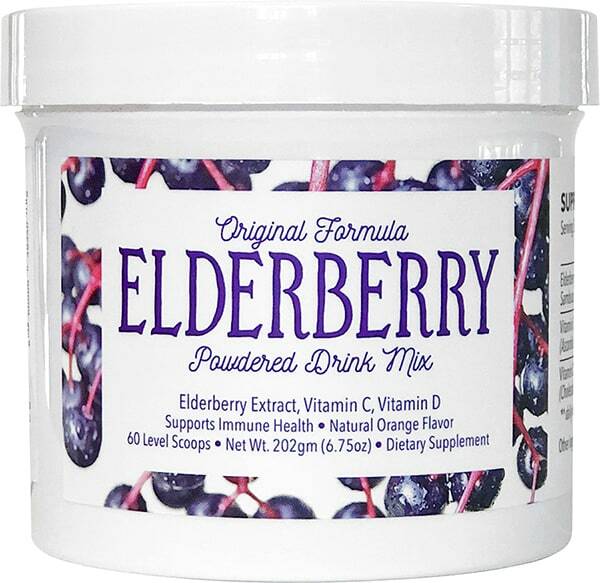 Original Formula Elderberry Powdered Drink Mix supports immune health and tastes great! There is 600mg of elderberry in every serving - 6 to 12 times more than the leading store bought brands. We've also packed in Vitamin C and Vitamin D3. This mix is made of all natural ingredients and flavorings and sweetened with Stevia extract. It contains no sugar, no gelatin, so high-fructose corn syrup and is gluten-free! 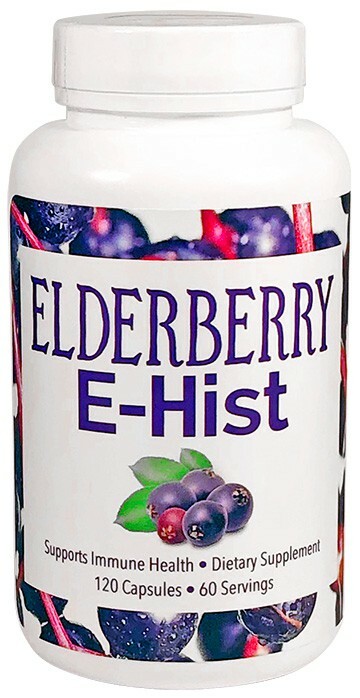 Elderberry E-Hist is a blend of antioxidants, botanicals, enzymes and flavonoids combined to support the immune system for seasonal allergic responses to common environmental allergens. 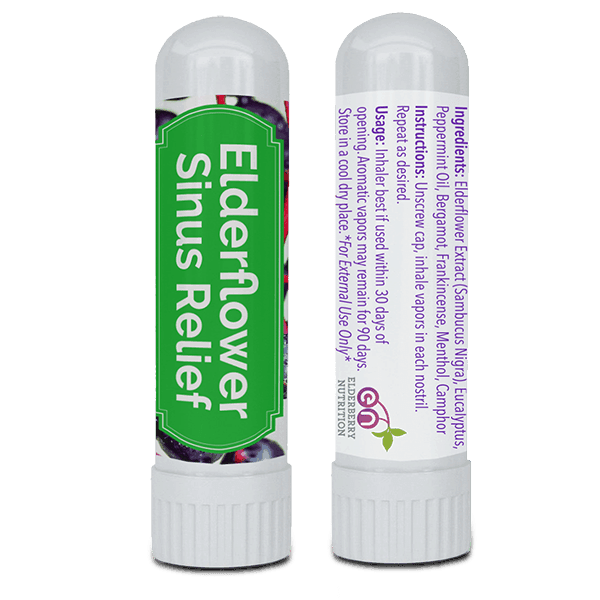 In clinical applications, Elderberry E-Hist has been shown to support immune and sinus health, promote thin mucus and clears the sinus and nasal passages. 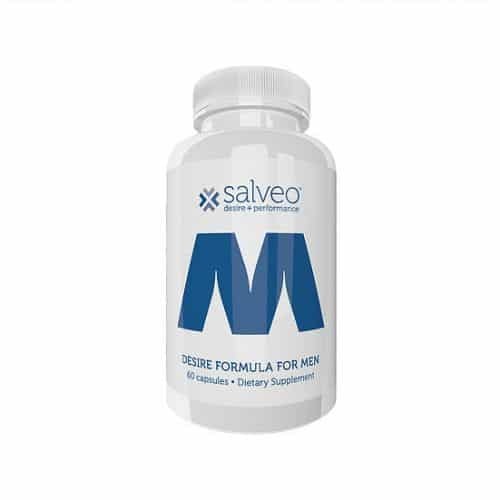 *Supports Healthy Brain Magnesium Levels. *Supports Healthy Synapse Number and Function. *Supports Cognitive Health. *Supports Stress Management, Sleep Quality, and a Healthy Mood. 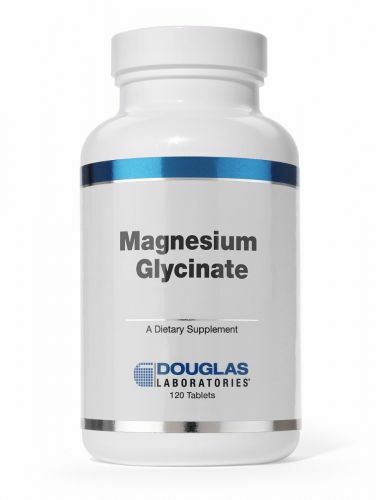 *Helps Ensure an Optimal Magnesium Intake for Overall Health. 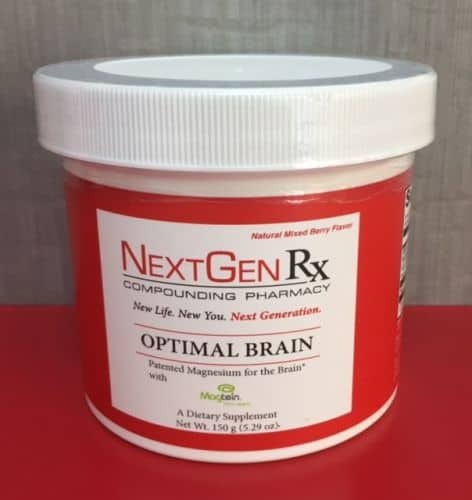 Optimal Brain features Albion forms of magnesium (magnesium L-threonate), the only form of magnesium proven in animal studies to cross the blood-brain barrier. Boosting the brain’s magnesium level is vital to healthy cognition, which includes long- and short-term memory, learning, stress management, and sleep. Dissolve one level scoop in 4oz water or adjust amount of water to desired sweetness. First week: one serving per day immediately before dinner or one hour before bedtime. Thereafter: one serving during the day, preferably mid-afternoon, and a second serving before bedtime; or use as directed by your healthcare practitioner. Consult your healthcare practitioner prior to use. Individuals taking medication should discuss potential interactions with their healthcare practitioner. Do not use if tamper seal is damaged. Keep closed in a cool, dry place out of reach of children. Does not contain wheat, gluten, yeast, soy protein, animal or dairy products, fish, shellfish, peanuts, tree nuts, egg, ingredients derived from genetically modified organisms (GMOs), artificial colors, artificial sweeteners, or artificial preservatives. Albion and TRAACS are registered trademarks of Albion Laboratories, Inc. Malate covered by US patent 6,706,904 and patents pending. Magtein is protected under US patents 8,178,118; 8,142,803; 8,163,301; and other pending patents. *Supports Relaxed Mood. *Supports Inhibitory Neurotransmitter and Second Messenger Functions. *Supports Neurotransmitter Balance and Neuronal Stabilization. *May Support Blood Pressure Already Within Normal Range. 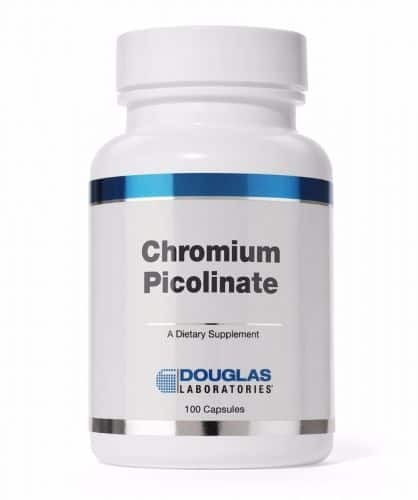 *Addresses Brain Osmotic Regulation, Glial Cell Function, and Effective Neuronal Transmission. 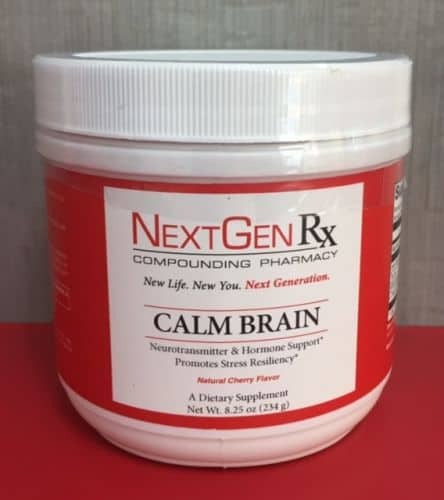 Calm Brain is an innovative powdered drink mix with natural cherry flavoring. 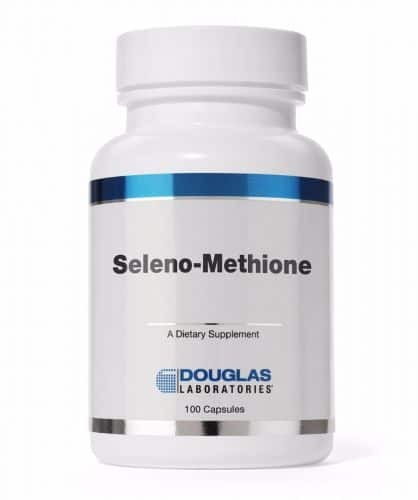 It contains a blend of ingredients that supports the body’s natural synthesis of catecholamines, the inhibitory neurotransmitter GABA, hormonal balance, and healthy glucose metabolism. Calm Brain aims to promote a calm, relaxed, well-balanced emotional and physiological state. Dissolve one scoop of Calm Brain powder into 6 fl ounces of cool, pure water. Drink one to two times daily, or as directed by your healthcare practitioner. Consult your healthcare practitioner prior to use. Individuals taking medication should discuss potential interactions with their healthcare practitioner. Do not use if tamper seal is damaged. Keep tightly closed in a cool, dry place. Does not contain wheat, gluten, corn, yeast, soy, animal or dairy products, fish, shellfish, peanuts, tree nuts, egg, ingredients derived from genetically modified organisms (GMOs), artificial colors, artificial sweeteners, or preservatives. Albion is a registered trademark of Albion Laboratories, Inc. Malate covered by U.S. Patent 6,706,904. *Liquid Source of EPA/DHA & Fat-Soluble Vitamins A & D. *Supports Cardiovascular Health. *Supports Neurological Health. *Affects the Production of Arachidonic Acid-Derived Eicosanoids. Supported Brain is a rich source of polyunsaturated omega-3 fatty acids and Vitamin A with added Vitamin D & E for optimal stability and freshness. These fatty acids are now known to play an important role in normal development, cardiovascular health and neurological health. Supported Brain, flavored with natural orange essence, is great tasting and ideal for children and adults who cannot take softgel capsules. Available in 16 oz. Once daily, measure one teaspoon (5 mL) and consume, add to your favorite drink, or use as directed by your healthcare practitioner. Children up to 12 months of age: Consume 3-4 drops daily. Children up to 10 years of age: Consume one-half teaspoon (2.5 mL) daily. Consult your healthcare practitioner prior to use. Individuals taking medication (especially blood thinners) should discuss potential interactions with their healthcare practitioner. Do not use if tamper seal is damaged. Keep refrigerated after opening, and out of reach of children. Refrigeration may cause cloudiness; however, this will not affect the quality of the formula. Does not contain wheat, gluten, corn, yeast, soy protein, dairy products, shellfish, peanuts, tree nuts, egg, artificial colors, artificial sweeteners, or artificial preservatives. Introducing THRIVE®+ with probiotics! A sweet that makes smiles bigger and tummies happier. The THRIVE®™ has so many great benefits it’s difficult to know where to begin! 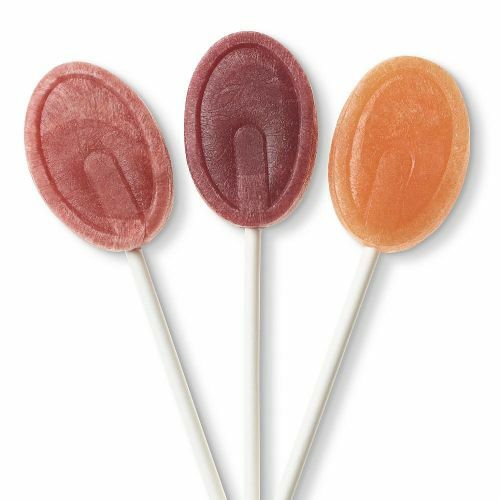 This tangy and great tasting line of lollipops has fiber, cavity fighting xylitol and erythiritol as sweeteners, while also having probitoics! They come in three great flavors: strawberry, blackberry and orange. 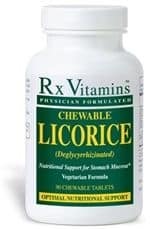 DGL Licorice 500 mg 90 chewables Rx Vitamins’ Chewable Licorice is a standardized extract of deglycyrrhizinated licorice (DGL). Licorice has a long history of health-related benefits and clinical studies have demonstrated its benefits in the treatment of gastric ulcers. Each tablet provides 500 mg. of pure DGL that has been flavored without the addition of any refined sugars. Licorice is listed as an approved herb in the German Commission E Monographs. Suggested Use: As a dietary supplement, Chew one or two tablets daily or as recommended by your physician or health care professional. 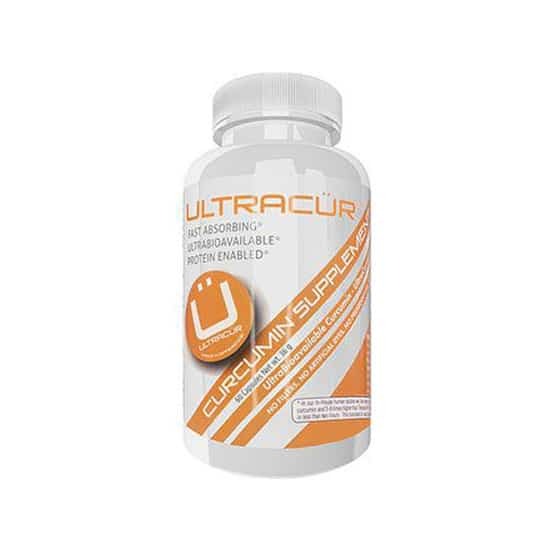 UltraCur-Pro (UCN-100) We have applied our patent pending technology to USA extracted 95% Standardized Curcumin complexed with amino-acid N-Acetyl Cysteine (NAC). The concentrations of Curcumin in UltraCur-Pro are 4X higher than with regular UltraCur. 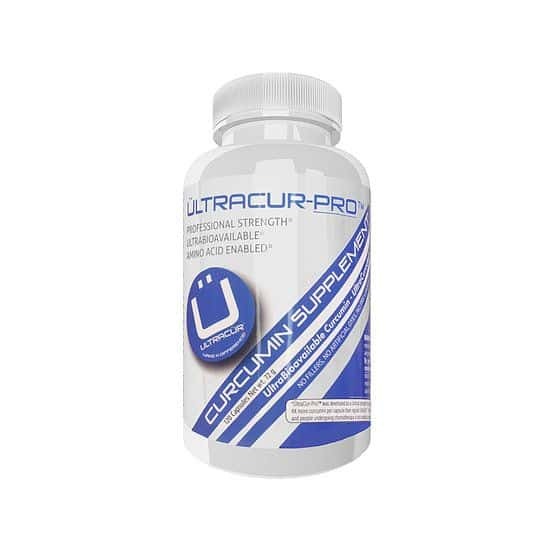 The UltraCur-Pro has 100mg of Curcumin complexed to each gram of NAC. One capsule of UltraCur-Pro is equal to 4 capsules of regular UltraCur with each capsule containing 600 mg of the UCN-100 complex. 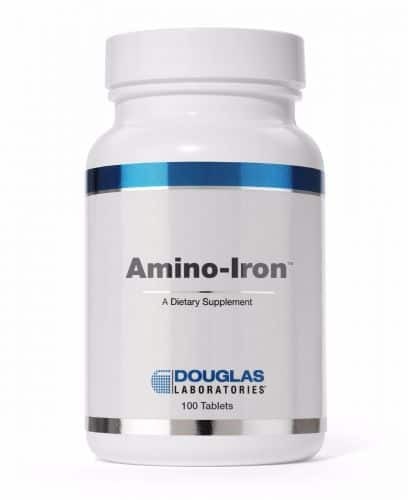 Amino-Iron™ is a nutritionally functional iron amino acid chelate (iron bis-glycinate) with documented high bioavailability, excellent tolerability, and low toxicity. Each 18 mg tablet of Amino-Iron supplies 100% of the daily requirement (US RDA) of iron for adults and children 4 or more years of age. Adrenplus-300 is a blend of vitamins, minerals and bovine adrenal glandular concentrate designed to support adrenal tissue. Withania somnifera, also known as Ashwaganda, is a traditional herb used in Ayurvedic medicine. It is used as a general tonic, to support energy production and support mental and physical performance. 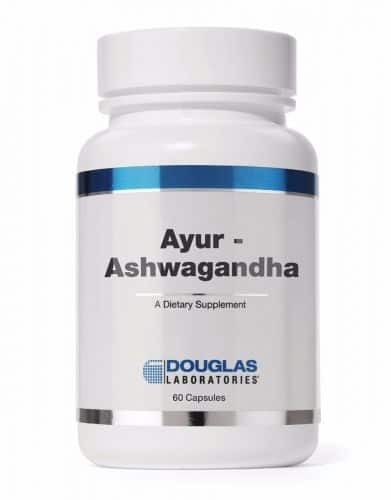 The active ingredients in Ashwaganda, withanolides, are considered a plant adaptogen to address all stages of both acute and chronic stress, support the body’s ability to adapt to stressors and help avoid the damaging consequences from those stressors. Plant adaptogens can support symptoms of fatigue and enhance endurance as well as support normal mental and emotional well being. Plant adaptogens also can increase the body’s ability to resist and recover from stress while providing an overall feeling of balance and normalization. 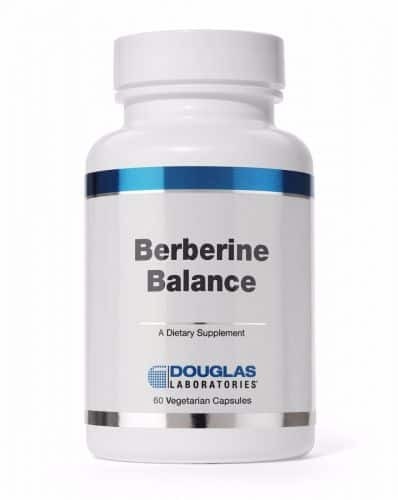 Berberine Balance supplies high potency berberine combined with alpha lipoic acid and grape seed extract for blood sugar and cardiovascular support.† Recent studies indicate that berberine, a naturally occurring alkaloid found in a number of plants, is an effective supplement for helping to maintain cardiometabolic health.† Grape seed extract is a well known antioxidant with heart health benefits, and alpha lipoic acid helps to support proper insulin function. Natural Aphrodisiac for Women. Supports Female Libido, Hormones & Mood. Immediately supports Female Arousal & Performance. Taking this twice a day is the recommended dose, however you can take as much as you like of this “whole” food. 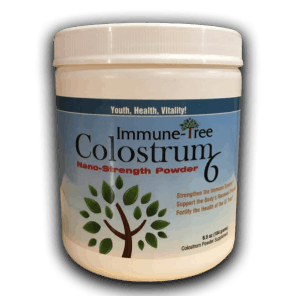 If you are looking for benefits in oral applications for gingivitis, sensitive teeth or gums; pack the powder along the lining of the gums and let it absorb! This “cornerstone” whole food has over 700 constituents that naturally balance and regenerate the body. 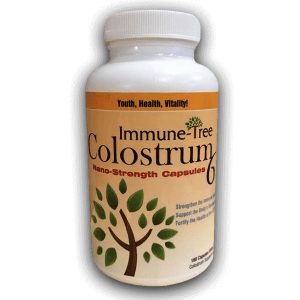 Immune Tree colostrum cold-pressed into a tablet. 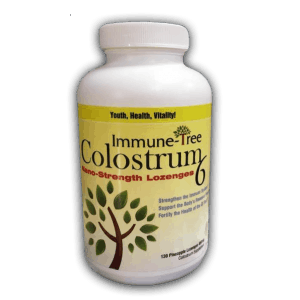 Taking 2-3 lozenges twice daily provides you with 1,800 mg worth of colostrum. Also an excellent source of vitamin C! 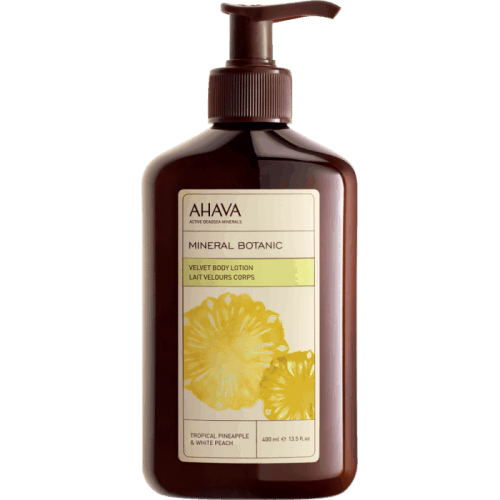 This quick-absorbing lotion protects skin and elevates natural hydration processes for a smooth, refined skin texture. Dead Sea water, rich in skin-friendly minerals such as magnesium, calcium, and potassium increase skin’s moisture level, providing all day comfort. 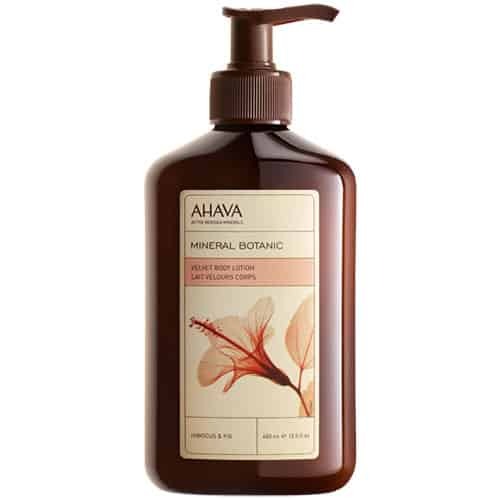 Mineral Body Lotion nourishes dry, itchy skin, providing refreshing hydration in a fast-absorbing formula that will not leave skin greasy or sticky. To lock in moisture, apply to damp skin immediately after showering. 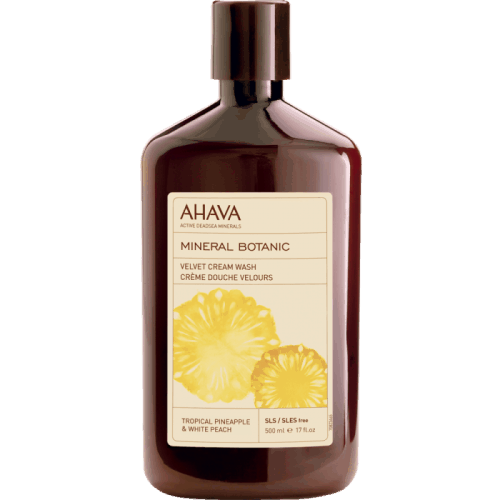 Contains Ahava’s proprietary blend of Dead Sea minerals, Osmoter™, elevates skin’s moisture. Witch hazel extract smooths skin’s texture and aloe vera helps prevent dehydration. Rich in skin-friendly minerals such as magnesium, calcium, and potassium, Dead Sea water, delivers nutrients essential to maintain healthy, hydrated, and supple skin. 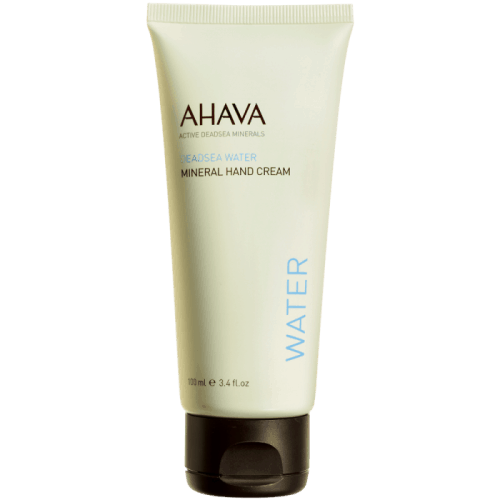 AHAVA’s Mineral Hand Cream nourishes dry, chapped hands, protecting against daily damage. A fan favorite, one is sold every 21 seconds! Experience the instant boost to skin’s moisture level and bring back soft, supple hands. 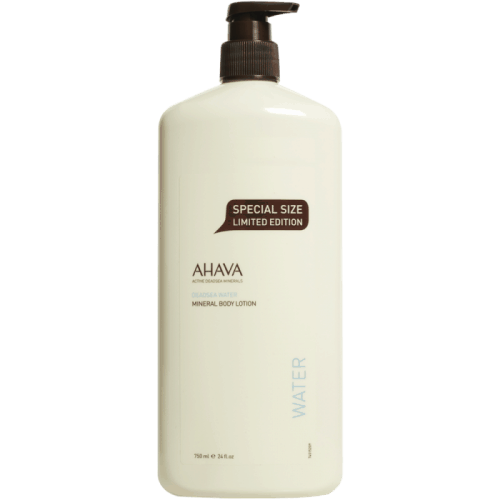 AHAVA’s proprietary blend of Dead Sea minerals, Osmoter™, elevates skin’s moisture. Witch hazel extract smooths skin’s texture and allantion softens dry, cracked skin. A luxurious lightweight lotion infused with a hydrating blend of lotus flower, chestnut and shea butter works to soothe sensitive skin and calm nerves. 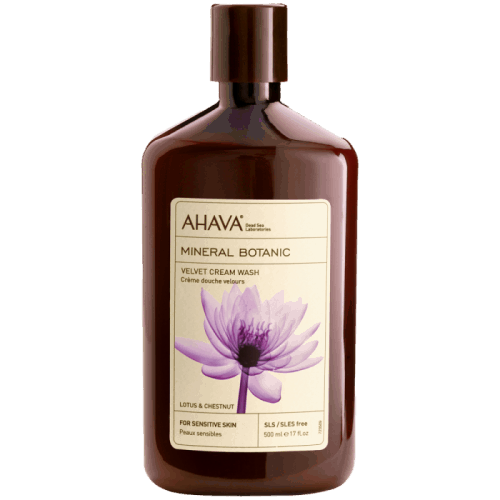 In addition, Dead Sea minerals soothe skin and boost its ability to stay hydrated. This lotion matches perfectly with and enhances the fragrance and effects of Mineral Botanic Cream Wash in Lotus Flower & Chestnut. An anti-oxidant rich cream wash infused with Lotus Flower, Chestnut and other botanical extracts that contain polyphenols to help reduce redness and bring comfort to skin. Lotus Flower extract offers a unique soothing sensation to skin. Chestnut extract nourishes and hydrates. Dead Sea minerals boost skin’s ability to stay hydrated. Indulge your skin and your senses with this gentle, hydrating cream wash lightly fragranced with Tropical Pineapple and White Peach. 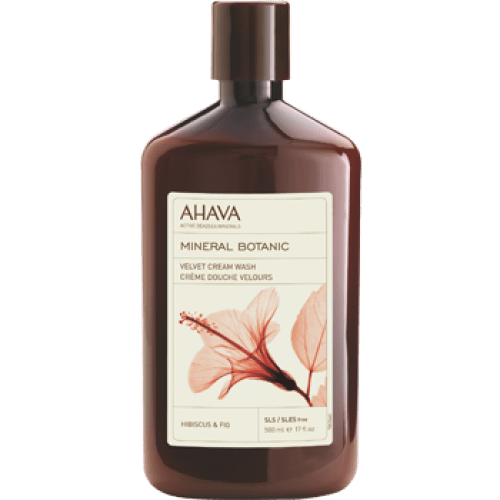 Macadamia and Sunflower oils provide long-lasting moisture along with AHAVA’s propriety Osmoter – a balanced concentrate of Dead Sea Minerals. A luxurious cream body wash formulated with the power of Dead Sea minerals and enriched with Hibiscus, Fig, vitamins and antioxidants. Pair with Hibiscus & Fig Body Lotion to nourish and soften skin. Hibiscus helps to smooth and moisturize while promoting the healing of dry skin with natural anti-bacterial properties. Fig Extract contains anti-inflammatory properties as well as natural moisturizers.